Kids need some playtime outside the house. It makes them feel more refreshed and happy. There are many dangers that a child gets exposed to outside the house compared to staying indoors. The idea of outdoor baby gates minimizes the risks of a child getting hurt while outside. Can all baby gates be used outside? Not all are suitable for use outdoors because some rust and others are less durable when exposed for long to sunlight. In this article, we are going to talk about the best outdoor baby gates available in the market today. With good comparisons and features that I will give you, it will make it easier for you to choose the best fit for your needs. If you need to move the gate once in a while, you have to consider its portability. Not all baby gates available in the market are retractable. You, therefore, have to be careful when looking for a portable baby gate. This is one of the most important things to consider when looking for an outdoor baby gate. The baby gate should last longer even when exposed to different types of weather conditions. By considering the durability, you will save much on cost since you will not have to keep buying baby gates now and then. Different baby gates are designed to be fitted in a particular place. For instance, if you want a baby gate to put on the stairs, it has to be sturdy. On the other hand, if you are looking for one to put in a yard, it has to withstand a lot of pressure. To be sure that the baby gate is safe for your child, you need to look for a certification seal before purchasing. The Juvenile Products Manufacturers Association (JPMA) is the association that certifies baby gates for safety. 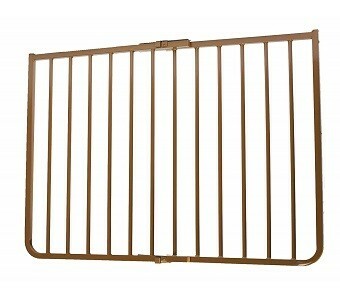 You don’t want a baby gate that you will spend much time installing. It is therefore advisable to consider its complexity before purchase. Can the baby gate be stretched to fit any door or staircase space? Is the baby gate strong enough to hold a lot of pressure? What is the price of the baby gate? How high is the baby gate? Extra features like an alarm. Can the gate be used for pets? This gate is designed for decks or patios. It is made of stainless steel, light aluminum and a powder-coated finish which makes it weatherproof. The cardinal gates outdoor child safety gate is stretchable, so it can cover most door spaces. Its width ranges from 27 to 42.5 inches. Its height of 29.5 inches also makes it impossible for pets or children to climb over. It also has a vertical bar of 2.5 inches which helps in minimizing the risks of slipping through. This cardinal gate is also one of the few gates that can be used at the bottom or top of the stairs. Can be used in most outdoor spaces. Can be used at the top and bottom of the stairs. Designed for patios and decks. Tightening screws are not long enough. This is one of the few gates that are certified by the Juvenile Products Manufacturers Association.It can be used at the bottom and top of the stairs. It is available in 52 and 72 inches. It can be used to cover even the widest spaces in your home. The retract-A-gate locking mechanism is simple even by use of one hand. This is one of the greatest features in a baby gate because it is easy to lock when holding the baby in one hand. Another great feature of this gate is that it winds itself up when you unlatch it. So once installed you don’t need to uninstall it after use. This also saves on space in the house since the worry of where to keep it is eliminated. This gate is strong enough to withstand a force of over 200lbs. This makes it safe for use on strong kids or pets. Retract-A gate is made using a durable-transparent material, you are hence sure that it will last longer. Can easily be locked using one hand. Can be used on pets because of its resistance to scratches. Kids can be able to unlock it. This gate is designed for use at the bottom of the stairs. Since it is not a pressure or hardware baby gate, it is easy to unlock. This makes it be more preferred due to cases of emergencies. 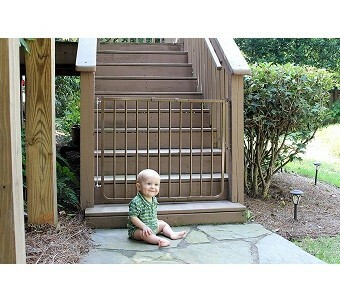 The Stair barrier baby and pet gate are easy to install because it does require any hardware. When not in use it can be rolled to the side. This is a great feature to look for when you don’t have enough space in the house to keep it when not in use. This gate fits perfectly on any type of banister no matter the shape. It also installs on an angle making it even easier to install. Can be used for both children and pets. 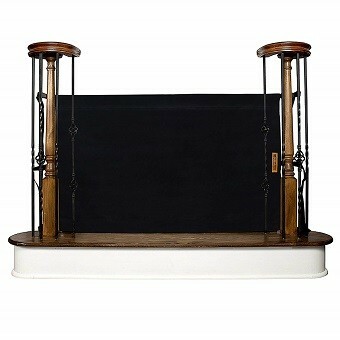 Accommodates any type of banister. Normally used at bottom of the stairs. This gate has a one-hand locking mechanism with a dual lock for safety. The gate comes with six removable and adjustable panels and it is 26 inches high. There are also two optional panel extensions available which increase the area coverage from 18.5 square feet to 34 square feet. There is no assembly needed, you just need to click panels into place. 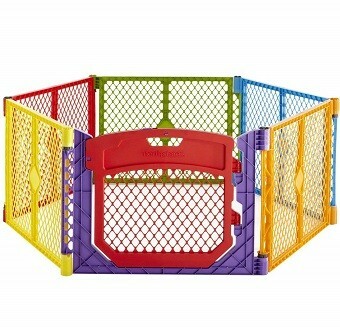 The North States Superyard Colorplay Ultimate Playard is a gate that can be operated using one hand. Has a dual lock for safety. Has a removable and adjustable panel. Can be operated using one hand. Limits the coverage area for the baby. Requires un-installation if not in use if you do have enough space to keep it. 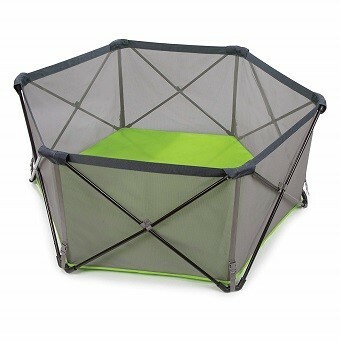 The Summer Infant pop N’ Play Portable Playard stands freely when unfolded. It covers an area of 4 square feet and it is 48 inches wide and 26 inches high. Its portability is easy because it can be folded and put in a travel bag with a shoulder strap that comes with it. The playard has a folding metal frame which is light and comes fully assembled. The sides are made of a mesh that provides visibility and the floor is water resistant, allowing it to be used in any weather. Comes with a travel bag that has a shoulder strap. Its mesh sides create visibility and provide airflow. Its floor is water resistant. Can cause injury due to the hard metal frame. Older kids can climb over the walls. This is an adjustable gate that can fit wide openings of 38.3 to 72 inches. It has a height of 30 inches with an extra-wide door of 25.5 inches. The Supergate deluxe décor gate has a pivot that points on gate panels. This makes it possible to mount it on angled walls. The metal used to construct the Supergate deluxe décor gate is made of matte bronze. This makes the gate blend in with any home décor. There is also a 6-bar extension available that adds 15 inches to the gate but it is sold separately. Can be mounted on angled walls. Can leave pressure marks on the wall. 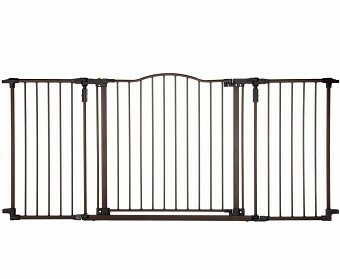 What Things Should I Consider Before Buying An Outdoor Baby Gate? There are several important things to consider when buying a baby gate. 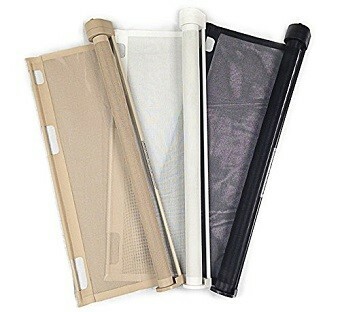 These are durability, strength, ease of use, portability, extensibility, and price. Are Outdoor Baby Gates Portable? Most of the gates that can be used outdoors are portable. However, there are some that are too heavy to move and others take time to install so they cannot always be moved. What Is The Importance Of A Baby Gate? Baby gates ensure the security of your child by denying access to areas that have a high risk of danger, for instance, the kitchen or the stairs. The child can only play on the restricted area; hence you are sure of their safety. Are All Outdoor Gates Certified By JPMA? Only a few gates are certified by JPMA. However, most of the uncertified ones have also received positive feedback from most users. There are a variety of outdoor baby gates available in the market today. This has made it difficult to choose for one due to a lot of similar features and lack of enough knowledge on baby gates. This article has made it easier for you to decide on which baby gate fits your needs. The above mentioned outdoor baby gates are the best that I recommend. They carry more advantages than the disadvantages and have received a lot of positive feedback from the users.